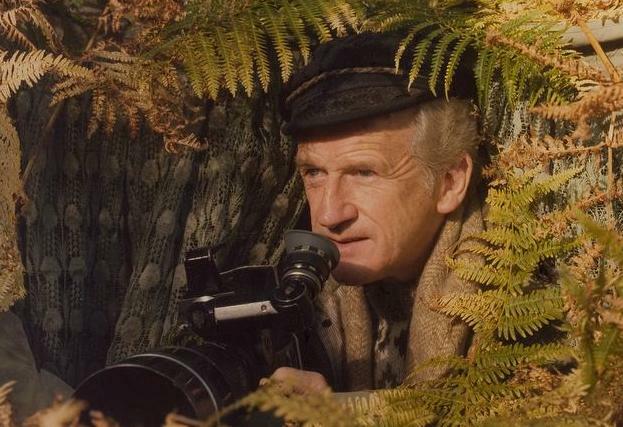 Irish wildlife film maker and natural history icon Éamon de Buitléar died at home in Degany Co. Wicklow last night aged 83. As well as his pioneering work bringing the wonder of Irish wildlife to a nascent television audience, Mr de Buitléar, was the author of numerous books on Ireland’s natural history, including his recent memoir, “A Life in the Wild”. He was also an accomplished traditional musician and a staunch advocate of the Irish language. He was co-creator of the acclaimed Amuigh Faoin Spéir (Out Under the Sky) series with Dutch artist Gerrit Van Gelderen, a programme credited with fostering a much broader appreciation of the Irish environment. His illustrious career in film-making includes such credits as “The Natural World” and “The Living Isles” ( BBC), “Exploring the Landscape”, “Irelands Wild Countryside”, “A Life in the Wild” (RTÉ), “Wild Islands” (RTÉ, STV and S4C) and “Nature Watch” (ITV). In November last year Mr de Buitléar donated his entire collection of film, music and writing to the National University of Galway. Mr de Buitléar is survived by his wife, Lailli, his five children, Aoife, Éanna, Róisín, Cian and Doireann. Tributes are flooding in from many sources this morning. Speaking on RTÉ’s Morning Ireland today, broadcaster and botanist Éanna Ní Lamhna, panelist on RTÉ’s Mooney Goes Wild show said: “He was in and out of our programme occasionally, and of course he wasn’t just a man with a film, he could actually speak about wildlife on a radio programme and produce wonderful word pictures. You could see what he was talking about….”. Mr de Buitléar’s legacy will live on, not just through his work, which represents an exemplary archive of Irish natural history programming, but also through the ongoing work of the countless people he inspired.